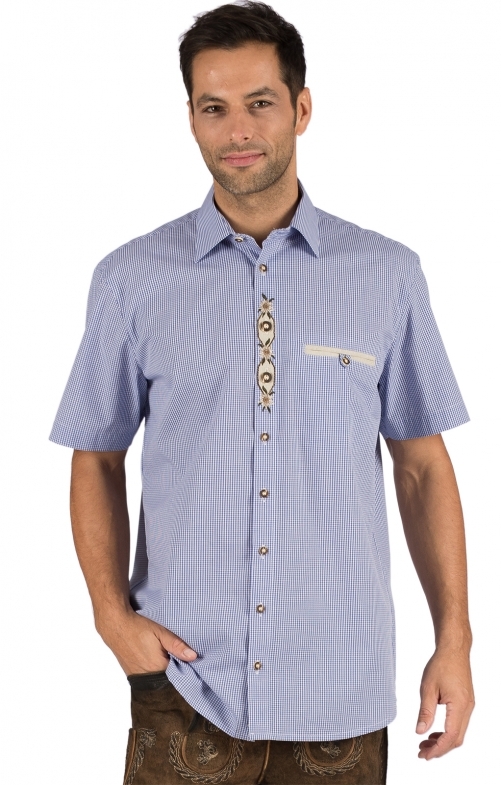 Chic short sleeve shirt with unusual application. The blue and white chequered short-sleeved shirt FRANK can be worn casually with any pair of leather trousers. It is made of comfortable cotton / polyester blend and fashionably straight cut. The eye-catcher is the edelweiss embroidery on the button placket, which is located at the level of the contrasting breast pocket. Further accents are set by the brown traditional buttons.